Project Management is both science and art. It is science in that it relies on proven and repeatable processes and techniques to achieve project success. Project management processes and techniques are used to coordinate resources to achieve predictable results. 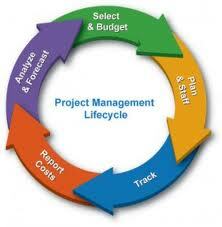 Project management embraces various parties / people, procedures, practices and processes. In real estate development, project management is used to ensure the development project is completed on time, within cost budget, in accordance with quality and design requirements, and in compliance with relevant laws and regulations. Few organizations maintain the workforce required to manage so many details, yet these details are often the difference between success and failure. Exceptional project management goes beyond scheduling and budgeting. Navigating the labyrinth of contractors, negotiations, budgets, schedules, and general bureaucracy involved in a real estate and construction project can be daunting. If you're managing a real estate project, you're going to have a job on your hands. Project management is always a difficult task to keep on top of and it can become quite complicated at times, especially with a number of different components to bring together. However, with a logical and persistent approach, combined with effective and careful planning, project management needn't be too much of a headache. Expert project managers provide experienced leadership, indispensable knowledge, and valuable industry influence that affect every phase of a project, from developing cost-saving solutions to finding the best vendors for your needs. Any Real Estate venture is a project, especially involving major construction efforts. Project Management can greatly improve the outcome of any real estate development initiative and should be considered an essential part of the process. 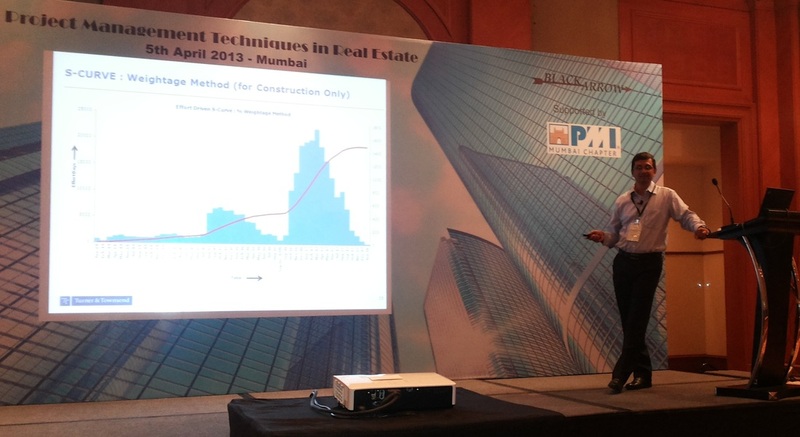 This training workshop enhanced the skills and expertise needed for Successful Project Management in Real Estate. As the Director at Turner and Townsend, based at the Mumbai office he is responsible to mange the business across all service lines in West and South India markets. He has gained over 18 years of all round professional experience in the areas of Programme Management, Project Management, Cost Management, Construction Management, QA/QC, EHS and Sustainability. 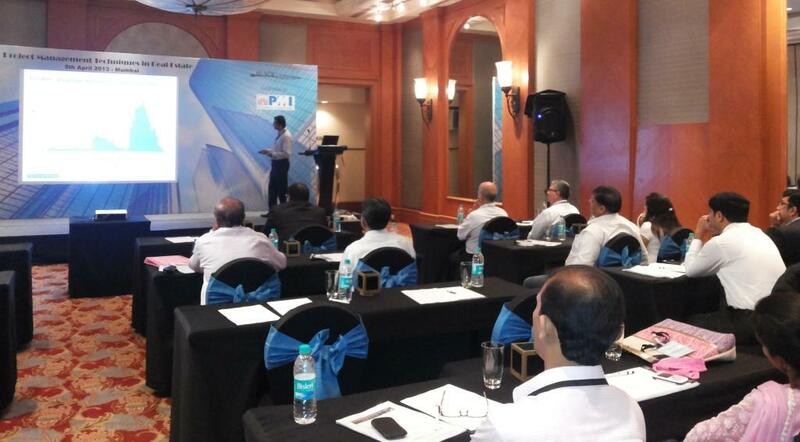 Have worked with large multinational companies and delivered many complex projects in India and abroad. He has also coordinated large Infrastructure Projects funded by World Bank and Asian Development bank. 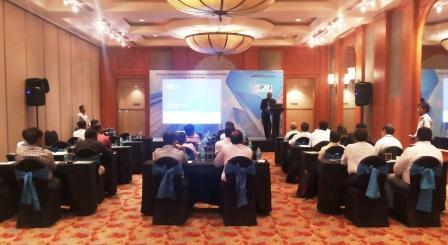 Tejas has been pre-Appointed to be a Mentor for West Asia Region 11 of PMI beginning January 2012. He was earlier member of the Champion Advisory Committee. Tejas has more than 15 years experience in Engineering, Procurement, Construction and Project Management both in India and abroad. He holds a Graduate degree of Master of Science in Civil Engineering with a Structural Engineering Major from The University of Texas at Austin, USA. He is a recipient of Lord Reay and Dadabhoy Naoroji Gold Medal in recognition of his Undergraduate Engineering Education. He is a Graduate of the Leadership Institute Master Class of PMI, USA. He holds membership in several professional bodies worldwide like American Society of Civil Engineers, Project Management Institute and Institute of Engineers (India). 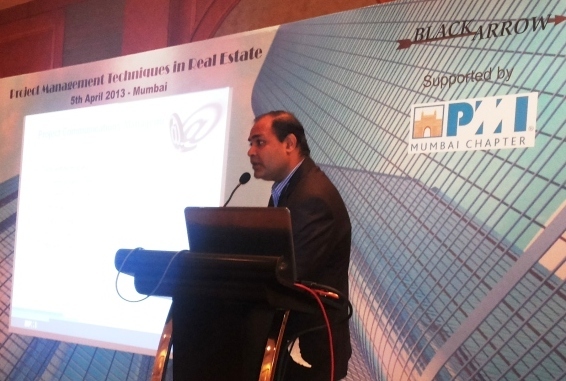 Sanjoy has 16 years of hands on experience in business and operations in the domain of Real Estate Project Management including 5 years in Real Estate funding in India. While working with PMCs, Sanjoy has undertaken responsibility of client management, team building, leading and handling multi-disciplinary positions and delivered prestigious projects for top notch Indian and multinational clients for various asset classes. He has extensive experience of conceptualization and development of 5 & 4 star hotels, boutique hospitality, Institutional buildings, commercial properties, malls & multiplexes, townships, high rise premium residential buildings and IT SEZs. 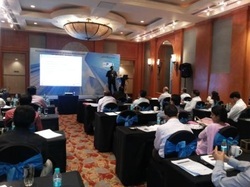 Sanjoy also acts as an internal trainer. One of the premier luxury hotels in Bombay - JW Marriott Hotel Mumbai. Located on the Juhu beach, overlooking the scenic waters of the Arabian Sea, this Mumbai luxury hotel's guest rooms and restaurants are favorite hotspots of Bollywood celebrities and business travelers. 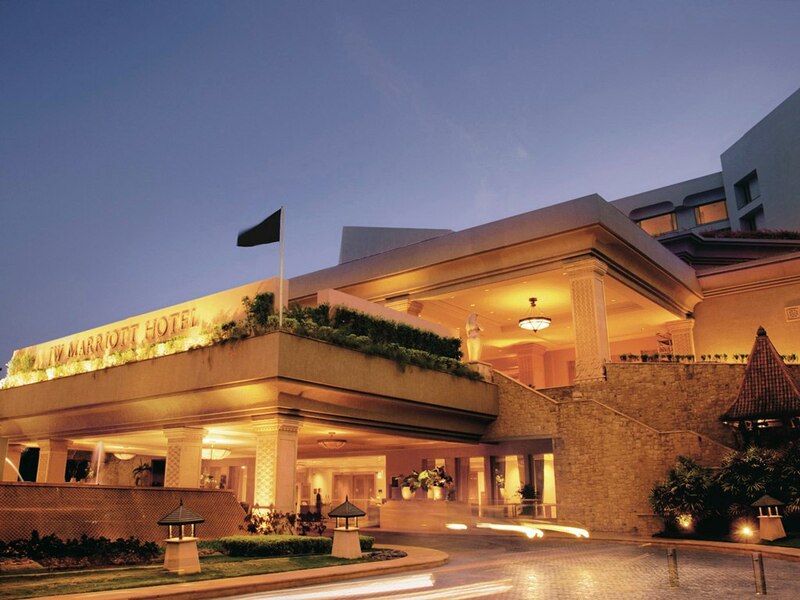 Featuring 14,000 square feet of stunning event space, this luxury hotel in Mumbai's facilities are some of the most lavish venues for business trainings & conferences.